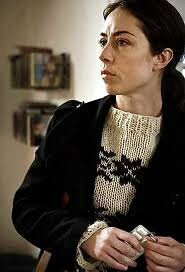 Forty minutes before the start of the last two episodes of The Killing, Son arrived back home. What did I do? Gave him dinner and then abandoned him while we watched. I mean, you can’t just not watch something like that, can you? You’d not know what the rest of the country knew. You’d be an outsider. Is it too cheap to say I told you so? I couldn’t actually work out how or why the character I pointed my finger at after the first Saturday of The Killing III could be ‘the one,’ but I was right. 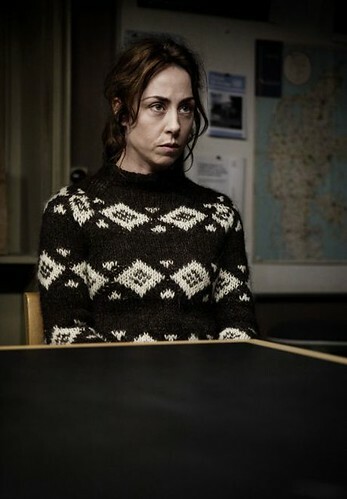 What we didn’t know at the time was that the last season of Forbrydelsen would be about two crimes. Not just the one at the beginning. But then we suspected the murderer in season one as well, only felt they seemed too obvious. But with enough (red) herring(s) in-between, anyone can be guilty of almost anything. It was a very small cast, when all’s said and done. If the police didn’t do it and the politicians didn’t, there wasn’t a lot of choice left. The Prime Minister and the company director both showed a surprising amount of backbone; until they didn’t, at the very end. Although I suppose it was to their credit they went as far as they did. The Killing couldn’t end happily. It would have meant letting the fans down. I’m guessing those who have been disappointed were all set for happily ever after, and upset it didn’t happen. I’m quite satisfied, in a funny way. For helvede, that was no shipmate. Ship’s mate, unless he was the first mate, which he could have been on the grounds of being the only one. But that might make him mate only. It’s just a space and an apostrophe, but we need to raise the poor man from shipmate status. Sorry for being picky, but it grated. 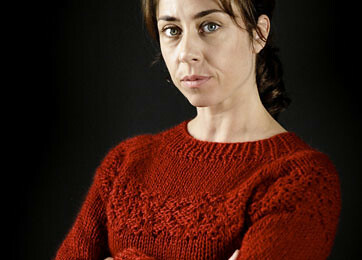 The country has been on tenterhooks for The Killing, the final outing for Sarah Lund. The Guardian gave lessons in Danish. Sort of. Facebook friends foamed at the mouth. Daughter fumed more than foamed, because BBC4 fell short of her northern outpost, and there will have to be complaints. The long wait was just about worth it. Nice to settle in to a surly and confused detective again, and because Sarah has a tendency to lose her partners, there is a certain freshness in having a new one each season. Two new men, actually. The younger one, Asbjørn, looked a lot like poor Meyer, I thought. Borch, on the other hand, seems quite bossy. Everyone ought to have a bike parked in their posh hallways. And you would have thought they thought they were in Switzerland, displaying such expectations of trains and buses running on time. And Sarah’s mother… She’s so very Danish. *My money is on the chap on the far right of the photo. Far too many fingers in too many pies. I’ve been going round muttering ‘The Mousetrap’ to myself for some time now. There’s been this feeling that it’s downright weird that no one has given the game away in The Killing. It’s not as if BBC4 had a world premiere or anything. It’s been shown elsewhere and you could buy the DVD if you wanted to. Without the subtitles, maybe, but if you’re keen enough you take a crash course in Danish. So, a bit reminiscent of the silence you are sworn to at the end of The Mousetrap. There’s another coincidence, but we won’t go into that. Now we know who did it. At the end I’d have been half surprised and half not, no matter who it was. And it seems as if there was more than one who-did-it as well. It was a crime at many levels, and many people did things they mustn’t be proud of. And what was the BBC4 continuity announcer thinking, suggesting that we stay with them when we got to the break at ten o’clock? I doubt that anyone in their right minds would get up and leave, feeling they’d had enough at that point. I was quite worried about the end, seeing as my trusted, regular commenter on here had warned me about feeling bad. Yes, it was disheartening in some sense, but it’s the way I look at the world most of the time, cynic that I am. And rest assured, just like my awkward French waiter only spoke English when it suited him, so it goes with the rest of the world, too. After all, how can anyone not speak English? The club of those who won’t be returning to The Killing next time grows. Selvfølgelig. that no one seems to have given away who did it. In The Killing. It wasn’t the butler, but I suppose it wasn’t far off. In a way. Daughter said ‘I told you so’, and in fairness, she did. I had plenty of suspects, but the way they went round most people at least once and sometimes twice, what is a person to think? It’s amazing that they could put together twenty hours of suspense like this, and even more that no one said. I didn’t even go out of my way to avoid spoilers. Solidarity, I imagine. And in the hour leading up to the two final episodes, I felt more excited than I’ve felt for most television programmes. It’s a television programme, for goodness’ sake! Though I will feel differently about landing at Kastrup airport in future. So, well done to all. And the taster for series two will assure everyone that the jumper will indeed get an airing again. Though I have to say that Daughter’s solution to all this is to buy the DVDs. As she said, they have to be available in some language somewhere. Will have to check. Seems I can’t leave the country even for a week without Guardian readers starting a jumpers thread on the letters page. You wouldn’t have thought so much could be said about a fictional Danish policewoman’s choice of clothes. What I find even stranger is that viewers covet the jumpers for themselves. I even found a blogger who was working out how to knit one, in order to save on the £200+ price tag. Someone is making a fortune out of this. Sarah Lund favours the cream one, and I check every time to see if I can find any evidence of it having been mended after the stab wound. I can’t. The black one is better, to my mind, and I don’t like the red one at all. The other slight problem with being away for two Saturdays was the number of episodes we needed to catch up on before the next Saturday evening, because the Resident IT Consultant who’d been left at home had watched them all. So from Friday evening Daughter and I watched a total of six hours of The Killing in around 24 hours. And that included sleeping. Checking what else was on at the same time gave the impression that the other channels had a lot more attractive programmes and films on offer than is the usual Saturday night fare. Perhaps they are suffering from The Killing and need to compete with little BBC4? What’s more, newspapers are writing about the programme repeatedly, proving it’s the latest must-watch, including a full page article in the main section of the Guardian. And the BBC have bought the next season as well. Hopefully xenophobia is on the way out as far as television drama is concerned, and one day soon people won’t think twice about subtitles. I’m thinking the Swede did it. 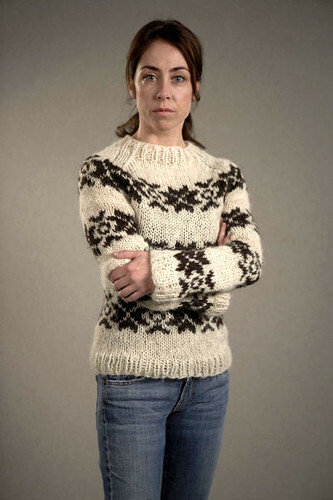 The new Danish crime drama on BBC4 was really very, erm, Danish. Nothing wrong or surprising about that, but it’s amusing how Danish you can get. 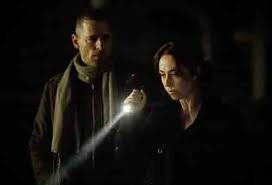 The Killing (Forbrydelsen) is from 2007, and it appears to be a direct descendant of Unit 1 (Rejseholdet) in style and feel. I found the two female detectives even speak the same way. There is something very Danish about the unhesitant tone; they know exactly what they are about and what’s right. Hardly surprising that Sarah Lund’s new colleague asks in a resigned voice if she has an opinion on what underwear he should use. He can’t smoke, he mustn’t drive too fast, and he should be much politer. And they do not like Swedes. That much is clear. But we know this already, which is why I so often speak English in Denmark. Like Ingrid Dahl in Rejseholdet Sarah has a Swedish boyfriend. Ingrid’s didn’t last long, and this one doesn’t look too promising either. The scriptwriter (Søren Sveistrup) got in a Norwegian insult, too, by suggesting it’s impossible to tell Norwegians and Swedes apart. The first two episodes on Saturday made for compelling viewing. I’m glad we get two episodes at a time, or we’d be at it for far too long. It’s still going to take us a while getting through all twenty episodes. Sarah Lund is leaving the Copenhagen police force to move to Sweden to be with the dreadful boyfriend, although her son is not keen at all. A teenage girl is missing and then found dead, and Sarah is coerced into staying and taking the case, having to cooperate with her successor, Meyer. It’s clearly going to be a complicated tale between the police, the (crooked?) politicians in the upcoming election, and the poor girls parents. Scary at times, and so very Danish. But not too dark. The crime is dark, but I didn’t feel the characters were leading dull or dismal lives. Unless poor Meyer will feel hemmed in by his bossy predecessor with her wonderful wooly jumpers.